There is no need for a smarter MK, all his skills are used up by the start of turn 2. After that, it's just waiting for his 4x dmg + prevent healing epic move to kick in. I swear he dodges everything like a breeze. Haunted past? No problem I would just look to the side and imagine nothing happened. 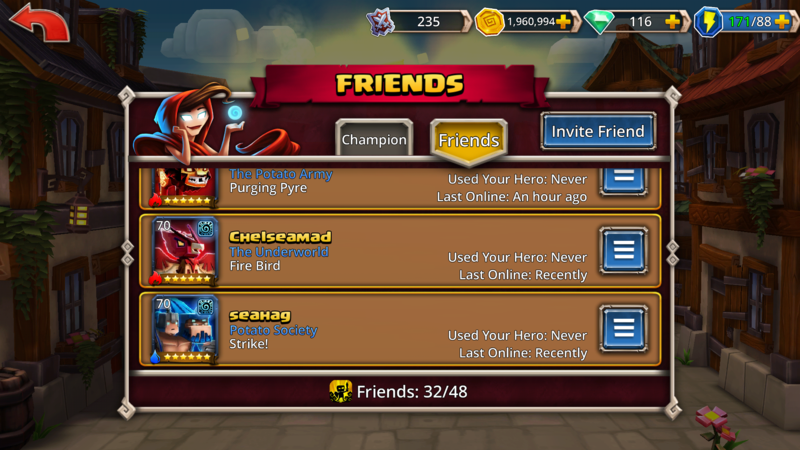 Purging Pyre? Well all is good as long as I am alive, right team? (no response). From the shadows? No worries I would just shift my head to the aside whiles SB misses like an idiot. How do I dodge everything? I move my head like nothing happened. These dodging animations are so unrealistic but funny at the same time. So does this mean full immunity again or better descriptors...I assume full immunity I found it rather strange that my Solaris who can not be harmed by fire was burnt today in pvp lol! Do you have a screenshot of Solaris being burned? I'm not seeing it happen in my game. You can six star Solaris quite easily given some money... I've had a number of "Special Offers" with 50-150 Solaris tokens as part of the package. Can Solaris go on a diet? She's quite huge.. and making clicking sparklies quite taxing. She makes Torchy and Ferno look like babies, and rivals even IGOROK and Grog in size. Sparkles just need a way to be tapped through heroes, even if you don't notice it's there and tap a hero. Depends on your level, that team is failing to make the best use of Solaris and would be quite easy to beat. @ExtremeKorosPains I am not sure why but that made my day. I cannot read such a big post. I'm sorry but I am ****. Then zen trained Mk to slay the walking bones and all the poor souls in PvP. Right, because a master training their pupil is totally Overwatch's idea and has never actually been done before, in real life or fiction, anywhere in the world. In all seriousness, I want to know MK and Zen's backstories. They're neat characters but they're just sort of there. Zen trains MK to kill undead. Well we do know that MK has a grudge against the undead, particularly the lich because of how he took the life of his pupil (which would actually be a cool little plot twist if said pupil was Saizo, the boss of the dungeon before boss mode lich and that the lich actually spared his life and made him his servant) and that he specifically trained to hunt down the undead to avenge his pupil. So at least he's got a goal in mind. Zen is a wise old man who lives in a mountain who truly seeks peace in the world and gives knowledge to those who seek him out and are willing to listen. I actually doubt he would feed MK's thirst for revenge. I'd say that's a decent amount of background, better than heroes like Yasmin, Overlord, Daeris, Augustus, Zurk and a bunch of other heroes. I feel like I need a manual to fight this guy. Feels super complicated. Can someone just share the cliff notes? I don't understand how this revive thing works. Do all beasts revive first turn? Like, if I aoe the whole team at the start, will they all just come back up? Does koros remove the charges with his opener? How do I avoid all these revives? Ive fought a few of these teams and it makes no sense to me. Also, how does Solaris ressurect if she dies with 0 charges? So confused. Is this working as intentional? I read all his notes and that doesnt fit the description of his ashes ability. Solaris the definition of cancer lol. Don't make heroes like this anymore. 1)Make an OP hero (Solaris) without thinking about the consequences. 2)Refuse to nerf OP hero out of fears of Apple granting $$$ in ITunes refunds. 3)Release an update to make the monster team better and hopefully balance the continuously resurrecting beast team overtaking pvp. 4)Don’t make a healer for the revised Monster team. 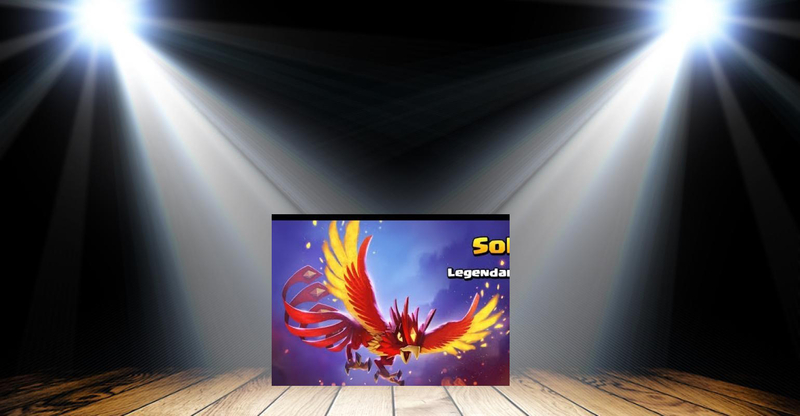 The team needs a healer to be viable and would you believe it the best healer for the New Monster team is .... SOLARIS! CLASSIC! Solaris keep ressurecting with 0 charges. I don't understand. @Joel I thought he needed 3 charges. I kill him on second turn when he has 1 charge. Then he rezzes his team at the end of turn. This is very confusing and frustrating.